Q: Do I need to replace a belt if it is squealing? A: Yes. If a belt is squealing, even if it is just when you start the car, it is slipping and causing additional wear and should be replaced. Q: How often do I need to change the timing belt? A: Your car’s owner’s manual will have the replacement interval for the timing belt. 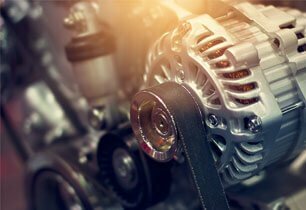 If the timing belt fails, it may cause damage to the engine. Q: When do my car’s hoses need to be replaced? A: There is not a set interval of when hoses need to be replaced. A service technician at Reynolds Ford of Norman can let you know if a hose needs replacement. Over time the multiple belts and hoses needed to keep your vehicle running smoothly will wear out and need replacement. Our factory trained service technicians at Reynolds Ford can inspect and replace any belts or hoses as needed.